Even though I’m basically a city girl at heart, getting out into nature regularly is still really important to me, and I’m regularly totally blown away by some of the amazing nature experiences I encounter on my travels. In this episode of The Thoughtful Travel Podcast I asked some of my travelling buddies about their love of nature, and I admit I was mostly expecting to hear about beaches, deserts and mountains – but I’m glad that Zoë decided to talk about wildlife instead, not only because of the great stories she told me but because she also sent me a baby gorilla picture too. Collective sigh. 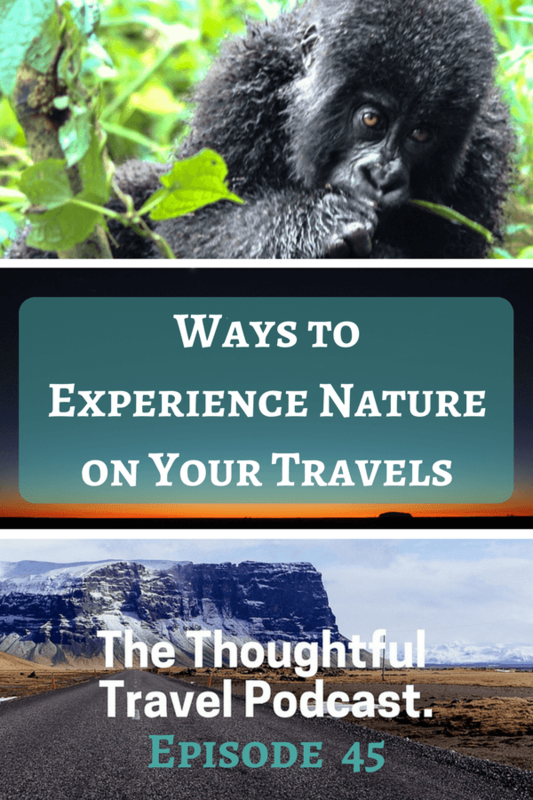 Getting out into nature is a common reason for people to go travelling but everyone chooses to experience nature in their own preferred, different ways. In Episode 45 of The Thoughtful Travel Podcast I chat with three travellers about their experiences with nature and they vary widely. First up, Sarah Ridout explains the amazing Australian outback of Uluru and the national park of Kakadu – places that are completely unique in the world, and she thinks (I agree) every visitor to Australia should take the chance to see. Brooke McAlary, on the other hand, is all about the mountains. She’s having a love affair with the Canadian Rockies and makes mountain life – and even snow life – sound mighty enticing! Finally, I chat with Zoë Dawes about two phenomenal experiences she has had with wildlife. These are such inspiring tales and have made me go straight online to start looking up how to have similar experiences myself! Thanks so much for inviting me onto your podcast – great fun sharing some tales of wildlife travel. 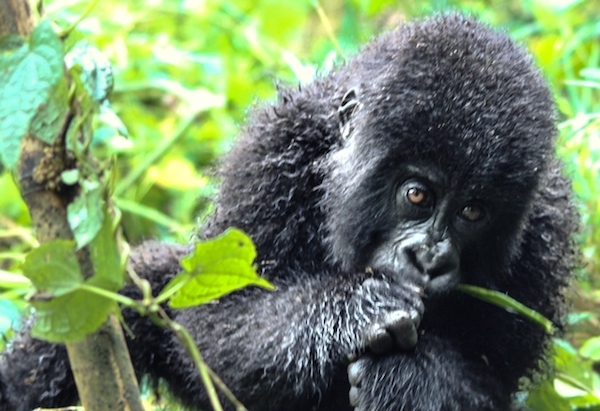 Hope you get to see those gorillas one day! Loved hearing the stories from your other two guests. I have been to Uluru, which is stupendous but not to Kakadu which sounds wonderful.